Thanks to everyone who helped make the first meeting of the Rhetoric Reading Group a success. Our second meeting is scheduled for 6:30 PM, Thursday, February 28. The location will be Jeff Pruchnic’s residence. 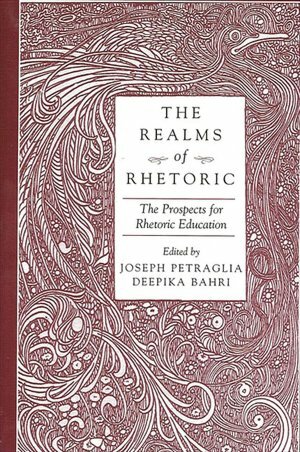 Our text for this meeting is the multi-author volume The Realms of Rhetoric: Prospects for Rhetoric Education (SUNY Press, 2003).